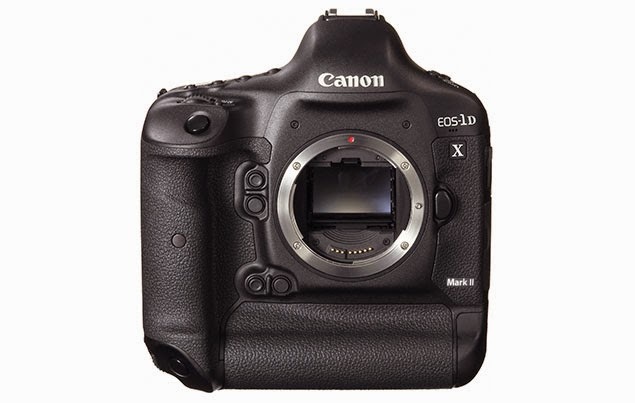 Canon EOS-1D X Mk II full frame camera? Canon announced the EOS-1D X camera in October 2011 and delivery started in the second half of 2012. This means the camera has been on the market for about 3 years now. I bought one of the earliest production models and have made it my main wildlife camera body since. My readers know I have picked this to be the best full frame DSLR for sports and wildlife photography. The camera received a major firmware upgrade in January 2014. When the action is a bit further away, I use the EOS-1D Mk IV and the EOS-7D Mk II, since I am not a big fan of extenders. As a wildlife photographer using Canon equipment for 25 years and the EOS-1D series since 1989, I have followed the line with keen interest for many years. My biggest 'complaint' about the camera is the 18MP sensor does not offer enough pixels when it comes time to crop the photos. Since the EOS-1D X camera went into production, a few technological advancement have been introduced, including new processors, sensors and Dual Pixel CMOS AF system, etc. Canon plans to introduce the EOS-1D X Mk II some time late 2015 or early 2016. Pre-production models are already in limited circulation among photographers who signed non-disclosure agreements. The Mk II camera will employ a new, higher pixel sensor, perhaps in the low to mid 20MP, with an unparalleled AF system and improved ergonomics. The rumors that Canon may employ Sony sensors are wildly exaggerated and the chances of them using a non-Canon sensor on their top-of-the-line model is nil to none. I hope the frame rate will stay at 12 fps. Frankly, I find the 14 fps (with mirror lockup) on the current EOS-1D X a bit of a gimmick. How many photographers are really using that speed? Rumored to be slighter larger in size but perhaps maintaining roughly the same weight due to improvement in material and a new battery. The main processor may be either the souped-up, dual DIGIC 6+ or even the DIGIC 7 with additional processor(s) for an advanced metering system. Dynamic range is rumored to surpass any DSLR on the market although I don't see that as being the most sought after quality in the new camera. An unparalleled high ISO performance and new AF system will be better welcomed in my opinion. My own view is Canon rarely introduces a brand new processor on their flag ship models. Instead, they put it on their lower end products first and let the kinks work itself out before putting it in their top-of-the-line cameras. Every new Digic processor in the last few years has been introduced that way and I doubt the DIGIC 7 will be any different. The new camera will be an evolutionary step up from the Series I model. Canon is known as a conservative company and occasionally breaks their mold but I am always prepared to be surprised. Keep checking back for the latest information as I receive them. Canon EOS-1D X Mk II camera coming in second half of 2015 but realistically expect delivery in Q1, 2016.